Created in 1783, MINES ParisTech trains high-level executive engineers capable to deal with complex problems, in a wide range of fields. First French engineers’ school for the extent of contractual research, MINES ParisTech has a significant research activity, directed particularly to industry, with the support of ARMINES, the structure dedicated to partnership search. Her fields of research extend from energetics to materials engineering, through applied mathematics, geosciences and economic and social sciences. MINES ParisTech is a founding member of ParisTech, which includes 12 of the largest engineering and management schools in Paris. The school is also a founding member of the research university Paris Sciences et Lettres – PSL Research University, which brings together 16 prestigious higher education and research institutions located in the heart of Paris. In addition, MINES ParisTech Foundation, one of the oldest French academic foundation founded in 1946, accompanies and supports the school’s developments projects. 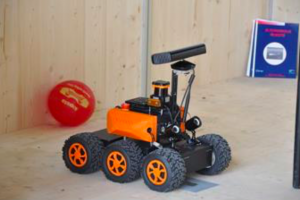 MINES ParisTech’s Center for Robotics (CAOR) studies and develop a set of consistent techniques (perception, control, interfaces, machine learning, logistics,etc. ), mainly from the robotics field. That research is applied to existing systems, especially to road vehicles. Therefore the research ranges from academic domain (to understand and conceptualize) to experiments for the validation of hypotheses and testing complete systems. Several platforms are maintained in the Center for Robotics (vehicles, small robots, cave, etc.) for that purpose. They serve also to show the results of the research and transfer them to industrial partners. They can serve also for teaching that is also in the missions of the Center for Robotics (engineering students, master students, PhD students). This excellence has been recognize by many prizes (e.g. twice winner of the French mobile robotics competition, once 2nd), academic awards, start-up creations or industrial transfers. The Center for Robotics has been conducting many research projects in the field of Intelligent Transport Systems, particularly in driving assistance. Since 1990 the laboratory has been 3 times winner of the national ANVAR innovation competition, and about 10 start-ups were founded by researchers or students from the Center for Robotics. 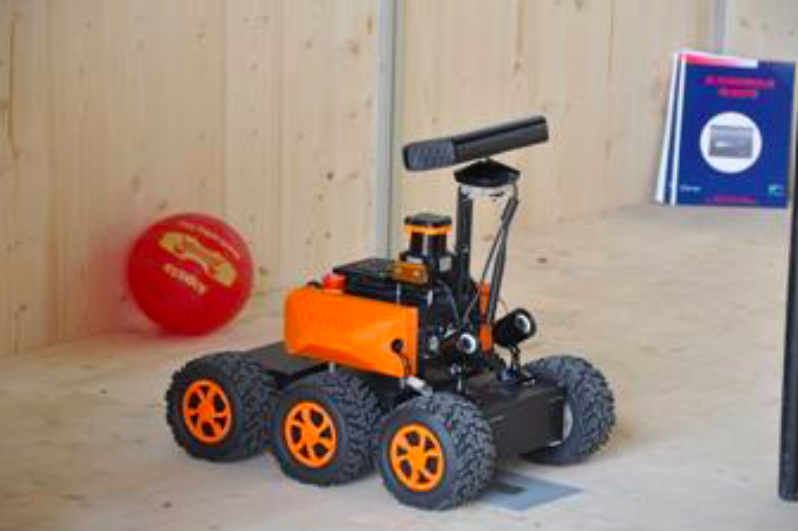 The Center for Robotics has a long history of collaboration with the sponsors with many collaborative projects, direct contracts and even another Chair (with PSA: Robotics and Virtual Reality).